Beautifully renovated townhouse close to trails, open space, restaurants, shopping, and public transportation! The kitchen is the highlight of this home and is a chef or entertainer's dream. 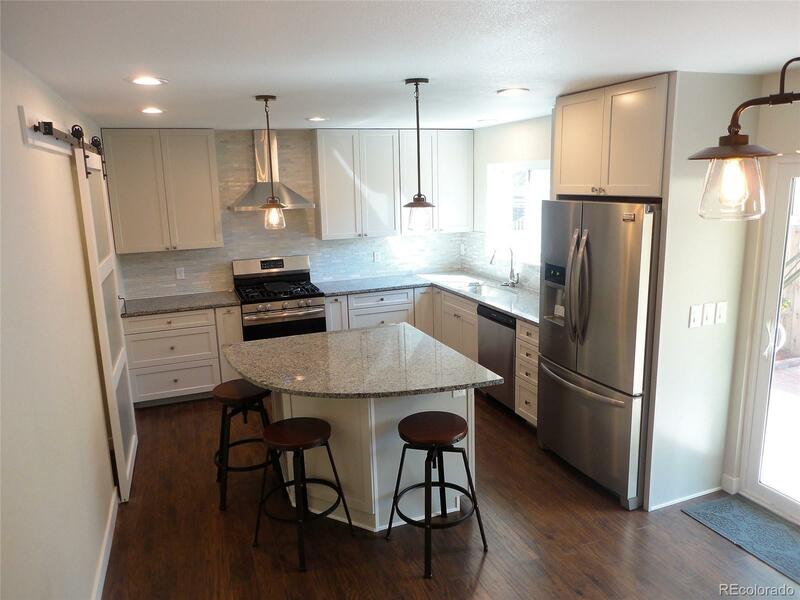 Brand new soft-close cabinets and granite counters, walk-in pantry, new stainless steel appliances, and built in wine rack are immediately noticeable. But don't miss the more subtle upgrades - built-in cabinet organizers, built-in trash containers, motion sensor sink faucet, USB charging port, gas stove, and new garbage disposal. New floors include modern patterned carpet, and durable 12 mm thick laminate floors that are water resistant and come with a 50 year warranty. All bathrooms have been remodeled with new vanities, stone counters, and slate tile floors! Relax in your new master bedroom with a huge walk-in closet that can easily be converted to a master bathroom. Other updates include new front door, newer furnace, water heater, air conditioner, windows, and more!